There are no rails near the track. 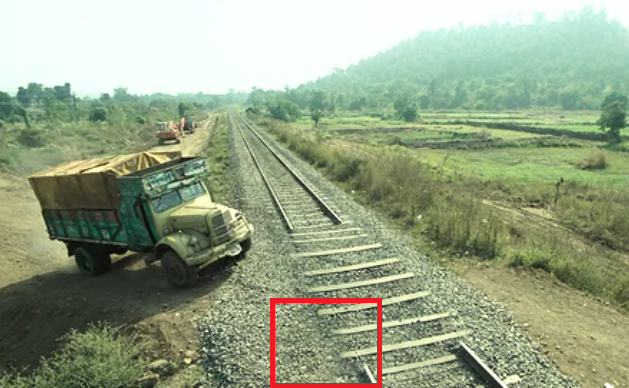 Suddenly rails can be seen. The position of cap changes in subsequent shot. The boy was standing on the right side of the light. Now he is on the left side of the light.